Learn about our $0 cost background check integration service! 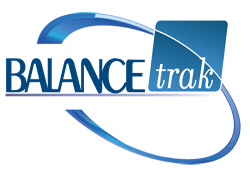 By utilizing a seamless, secure transmission of data between Berkshire Associates and the Justiweb system, clients can integrate their background check process within the BALANCEtrak ATS interface. Our user-friendly pre-integration solution provides better turnaround time and cost-saving efficiencies. Justifacts systems integration team will work directly with your human resources department to ensure the solution meets the specific needs of your organization without any fees. Berkshire Associates is a human resource consulting and technology firm specializing in helping companies build the ideal, balanced workforce. As an industry leader for over 25 years, Berkshire provides companies of all sizes with the latest software and services to meet their candidate management needs. With an understanding of the unique applicant tracking requirements professionals face, Berkshire developed is leading web-based applicant tracking software, BALANCEtrak, which lets users automate their workflow around finding the right candidate—while meeting mandatory employment regulations. As a Software-as-a-Service application, users benefit from BALANCEtrak’s anytime, anywhere access, unlimited users, and superior customer support. With Berkshire’s applicant management solutions, companies can organize their staffing activities to benefit their unique needs.